Catherine Carson (Cate) is from Northfield, MN, and is a violin student of Sally O’Reilly. She is in 11th grade and is in the Pre-Conservatory program at Shattuck-St. Mary’s School. She has been playing the violin since she was four years old. 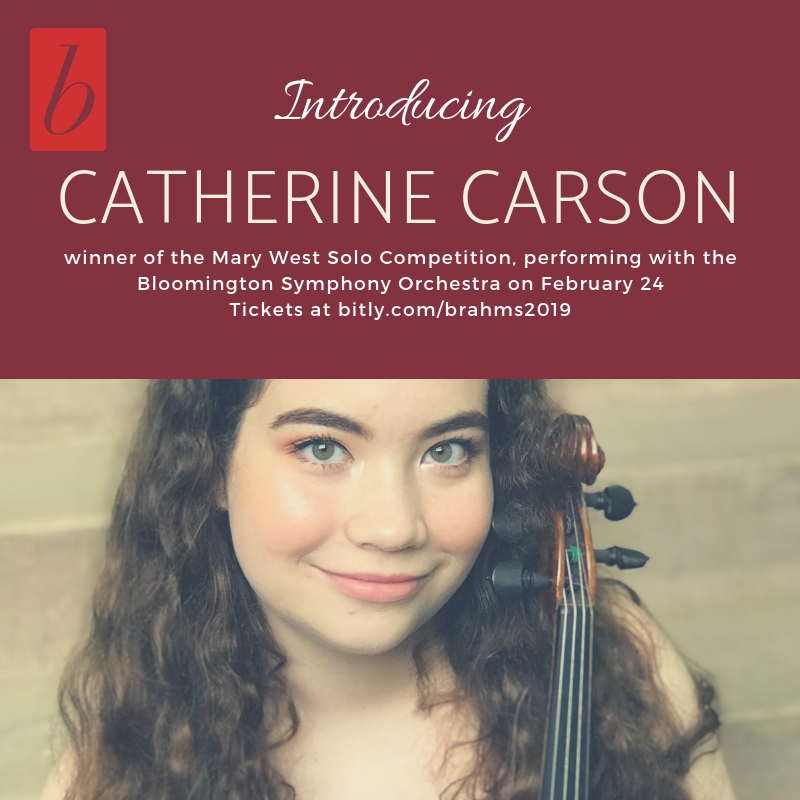 Cate is a prize winner in many competitions, including the Thursday Musical Competition, the Schubert Club Competition, the YPSCA Competition, the Rochester Music Guild Competition, the Mary West Solo Competition, and the 2018 Senior Level MTNA Competition, West Center Division. Cate has performed in the Bowdoin International Music Festival in Brunswick, Maine, California Summer Music in Sonoma County, and the Bravo Festival in Minnesota. She has worked with Almita Vamos, John Gilbert, Robin Scott, Renée Jolles, and Susan Crawford, and has participated in masterclasses with Jennifer Koh, Gwen Thompson, and Nicola Benedetti. Her orchestral experiences include both the Minnesota Youth Symphonies and Greater Twin Cities Youth Symphonies, serving as concertmaster twice. Her favorite academic subjects are English and history, but when not practicing or studying, Cate enjoys spending time with her friends, family, and her cat. Join Cate for her performance of the final movement of Camille Saint-Saëns’ Violin Concerto No. 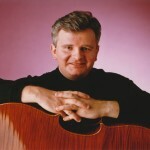 3 with the Bloomington Symphony Orchestra on Sunday, February 24. The BSO is grateful to the Minnesota String and Orchestra Teachers Association and the coordinators of the Mary West Solo Competition in identifying this fine soloist! This month’s Musician’s Musings was written by BSO Principal Percussionist, Paul Madore. Before I was old enough to read, I could go through my parents’ LP collection and pick out whatever they requested, much to my mother’s delight and bewilderment. From there, it was a short leap from just listening to music to wanting to learn how to actually play it, and I begged my parents to let me take drum lessons. My mother spoke with a local drum instructor who advised her to wait until I reached the ripe old age of seven before making that commitment. When my seventh birthday finally arrived, my parents could no longer delay the inevitable and told me I could start my drum lessons. I was so excited! I still remember my first lesson with Mr. Riccardo. He had a music studio set up in the finished basement of his house. As I walked down the stairs, I peered up at the photos on the wall of his trio playing at the “Marco Polo”, a local Italian restaurant that featured live music. Fast-forward to 6th grade, and I by now I was playing in a real rock and roll band! The original band name was “Mantissa”, which is some mathematical term that I’m still unfamiliar with. We quickly opted for the easier-to-understand and more picturesque “Red Moon”. We were a power trio of sorts, and did covers of classics like “Honky Tonk Women” and “Smoke on the Water”, along with some half-baked instrumental originals with inscrutable titles like “Japan” and “Corn Kernels”. I felt super-cool, because the other 2 guys were in high school, and here I was with them playing at high school dances that I would have been too young to attend, had I not been one of the performers on stage. As I grew older, my musical tastes became more refined, and in addition to playing in the school concert band and jazz band, I enjoyed listening to jazz and funk, and tried to emulate the style of my favorite drummers. I was a big fan of that outdated musical hybrid term “Jazz/Rock”, and I immersed myself in the crisp drumming styles of Bobby Colomby (“Blood, Sweat and Tears”) and Danny Seraphine (“Chicago”). When I was 15, I auditioned for and won a spot in the percussion section with “America’s Youth In Concert”, a nation-wide concert band and choral group that played such venues as Carnegie Hall in New York and the bicentennial in Philadelphia, before embarking on a month-long tour of Europe. After graduating from high school, I attended Berklee College of Music in Boston, where I studied jazz theory and jazz drumming, played in various big band ensembles and received my Bachelor of Music degree in performance. While living in Boston, I lived the aspiring “musician’s life” of working a day job to pay the bills, and playing various gigs at night to fulfill my musical passion. That template remained more or less intact, even after moving to Minnesota during the great Halloween storm of 1991. 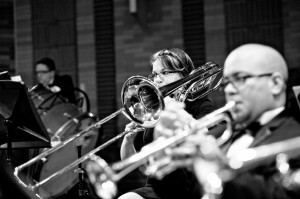 Since moving to Minnesota, I became more involved in classical music, performing with the Dakota Valley Symphony, while continuing to play in various horn-driven funk/R & B bands, such as “Down Right Tight” and “Under Suspicion” and jazz bands such as “The Stan Bann Big Band” and “Beasley’s Big Band”. My first experience performing with the BSO was back in 2003, when I was hired as an extra to play triangle and tam-tam in Mahler’s Second Symphony, “The Resurrection”. I was very impressed by the high level of musicianship of the players, and completely blown away by the magnitude of this magnificent work! Having at the time only a limited familiarity of Mahler’s music, I eagerly began exploring his other works and today consider Mahler one of my all-time favorite composers. Around 2010 or so, I made the conscious decision to concentrate exclusively on performing orchestral music, primarily with the BSO, but also subbing with other orchestras, such as the Metropolitan Symphony Orchestra and Saint Paul Civic Symphony. When approached about writing this edition of the Musician’s Musings, I was asked to write about my experiences moving from jazz to classical. I’ve always likened the idea of a musician playing different styles of music as akin to a skilled athlete playing different sports. Proficiency at one sport is no guarantee for success at another. And yet, there is a common ground that some people skilled in athletics share. The hand-eye coordination that is required in one game may present itself differently in another game’s execution, but that basic coordination will still be required in some shape or form. It is the same in the world of music. Certainly there are common fundamental requirements in order to play the correct notes, sing the correct pitches, etc. Stylistically, though there can be many subtle and not-so-subtle differences. Each musical style presents its own inherent logic and set of rules with which a musician must be familiar, or risk sounding amateurish. A common mistake for “legit” or classical musicians is to play this rhythm strictly as written, which sounds “square”, “unhip”, and definitely NOT swinging. In order to sound correctly, a certain creative license must be employed, which means the player must not play exactly what is written on the page. 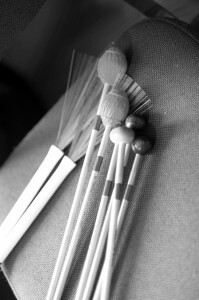 On the flip side of the coin is the seasoned jazz musician, who may know all the standard tunes in the repertoire by heart, or by reading off a lead sheet (a sort of musical shorthand that shows just the melody line and the chord changes), but may not have the sight-reading skills necessary if called upon to sub for a symphony orchestra. And all those European musical terms might feel like a foreign language, because they actually are! Of course, there are many versatile musicians these days who can bridge both jazz and classical styles. Perhaps the most famous is Wynton Marsalis, whose trumpet virtuosity has extended into highly acclaimed recordings and performances in both sound worlds. Since orchestral music can have limited percussion parts (or no percussion at all, in some cases), I sometimes get asked if I get tired of waiting to play, or having to “count so many bars of rests” before making an entrance. On the contrary. One of the great things about performing as part of an orchestra is that you get to listen and bask in the collective sound of the group as a whole. This is true even when you’re not playing, sometimes even more so. While I love playing a busy, challenging part and the “go-for-broke” spirit that goes with it, it can be equally enjoyable to just sit back and listen. In fact, I’d rather listen to music that moves me even if there is no percussion, than to play something I don’t connect with emotionally just for the sake of playing. I’ve always believed that to be a good musician, you must first be a good listener. I can think of no greater thrill than being on stage with the BSO when we’re making music at our highest level. Are you looking for a way to avoid crowded restaurants but still want to have a special Valentine’s Day weekend? 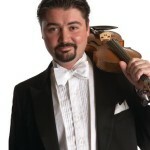 Then join the Bloomington Symphony Orchestra for Melodious Tchaikovsky on Sunday, February 15 at 3 p.m. 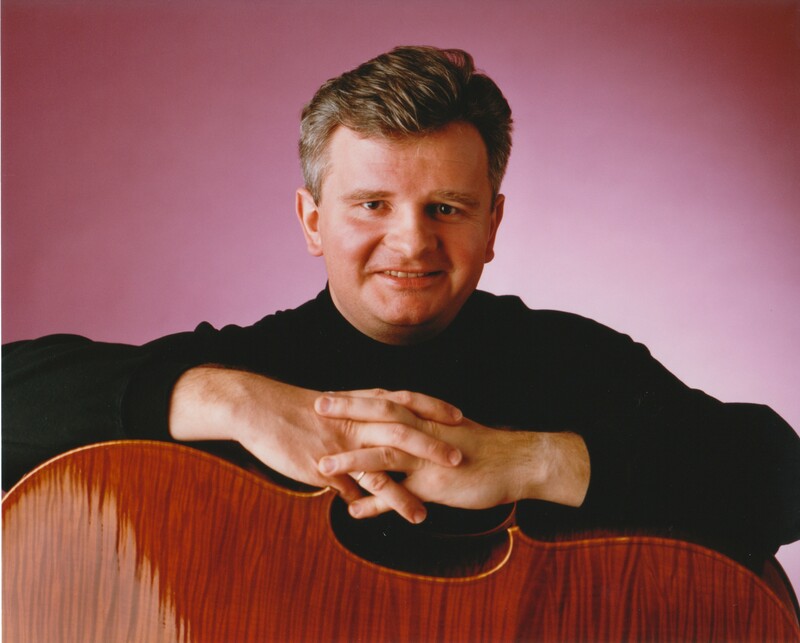 The concert will feature an all-Tchaikovsky program, including Variations on a Rococo Theme with Minnesota Orchestra cellist Arek Tesarczyk as soloist, Symphony No. 5 in E minor, and the ever-popular Romeo and Juliet Fantasy-Overture. Tickets are $14 for adults, $12 for seniors (62+), and students are free with ID. Tickets are available in advance at the Bloomington Box Office or by calling 952-563-8575. Our next concert: Anybody Here Speak American? Thank you to all who attended the first concert of the season, “Three Singing Masters,” on October 5. We had a wonderful time playing and hope to see you at our next concert, “Anybody Here Speak American?” on Sunday, November 16. 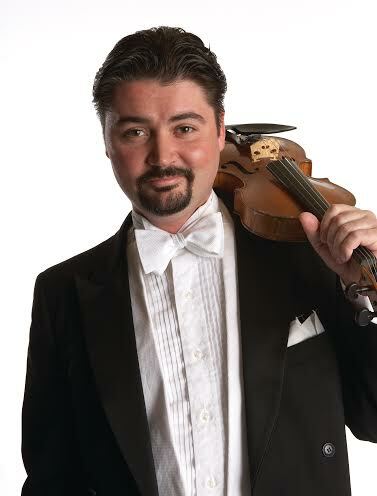 Our new concertmaster, Michael Sutton, will perform Barber’s Violin Concerto, preceded by Aaron Copland’s Quiet City and followed by Charles Ives’ Symphony No. 1. Check back in the next few weeks for Manny’s Musings, a preview of the program, posted on this website. The Bloomington Symphony has an opening for a timpani chair. The successful candidate will begin playing as a member at the November 2014 concert. Rehearsals for that concert cycle begin on October 12. The timpani audition will be held on Sunday, September 21 at 5 p.m. to learn more, please download the Timpani Audition Packet or send an e-mail to info@bloomingtonsymphony.org for more information. Thank you to all who attended the final concert of our 2013-14 season. We had a wonderful time transporting you to the afterlife, performing a little-known piece about a dying swan and surrounding you with the sounds of the Pines of Rome. We hope you will join us for one – or all – of the concerts in our 2014-15 season, which we will be announcing soon. One of the ways that you can support the Bloomington Symphony, besides attending concerts, is to join us as a donor. More information about how to donate is available on our Support page. Please be sure to check back here in the coming months to hear the announcement of our new concertmaster, and to learn more about our upcoming season. You can also join our e-mail list by completing the form at the bottom of the page and “like” our Facebook page. Today, Thursday, November 14 is Give to the Max Day in Minnesota. Every dollar you contribute to the Bloomington Symphony Orchestra, up to $2,325, will be matched by our Board of Directors. In addition, we have the chance to win bonus grants from GiveMN throughout the day. Take a minute to contribute here, and help us Give to the Max! The BSO heads to Eden Prairie! For the fourth year in a row, the Bloomington Symphony Orchestra will perform a concert in our neighbor to the west, Eden Prairie. The congregation at Immanuel Lutheran Church (16515 Luther Way) has welcomed us for the past three years and we are excited to perform there again on Sunday, November 24. Please join us for a concert at 3 p.m., led by Artistic Director and Conductor Manny Laureano. The concert will feature works by Russian greats Aleksandr Borodin and Nikolai Rimsky-Korsakov. For full information, please visit the concert page. You may purchase tickets in advance or at the door. Stay tuned to this page in the weeks prior to the concert, for Manny’s Musings about the upcoming program. Welcome to the BSO’s new website! We have a brand new website and hope you will take a minute to explore the new layout and the latest information! We would love to hear from you in the comments area of our new pages, or on our Facebook page. Use this site to find out the latest Bloomington Symphony Orchestra news and come back and visit often for more updates! The Bloomington Symphony will hold auditions for the 2013-14 season on Monday, July 29 at the Bloomington Center for the Arts (1800 West Old Shakopee Road), 6:30-9:30 p.m. The BSO is seeking a principal viola and principal bass as well as an Oboe II & English horn player. 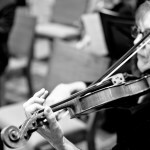 The BSO will listen to auditions for all other instruments for placement in the orchestra or on the substitute roster. For more information on the auditions including PDFs of repertoire, please visit our audition page or send an e-mail to info@bloomingtonsymphony.org.